After interviewing four candidates last week the Salina USD 305 Board of Education has decided not to hire any of them to be the new superintendent. According to the district, at a special school board meeting Tuesday evening board members unanimously selected Linn Exline, executive director of school improvement to serve as interim superintendent beginning July 1, 2019. 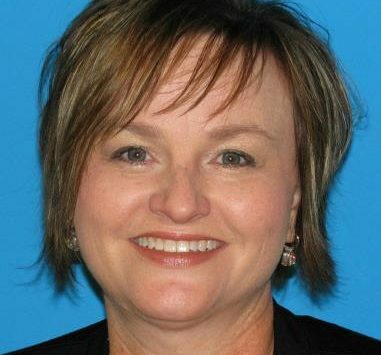 Over a span of 26 years in USD 305, Exline has broad educational experience as executive director of school improvement (teaching and learning), high school principal, director of staff development and accreditation, elementary principal, math and science K-12 curriculum specialist and elementary teacher. Exline received the Kansas Thespians Conference Administrators Award in 2013, was recognized for her educational leadership by the Kansas Association of Secondary School Principals Area III in 2012 and was selected as USD 305 Elementary Teacher of the Year in 1995. Exline earned her Bachelor of Science in elementary education from Kansas State University, completed her Master of Science in education administration and leadership at Kansas State University and earned her district leadership license from Emporia State University. Linn Exline begins leadership of USD 305 on July 1, 2019. She will succeed Dr. James Hardy who led the district for two years as interim superintendent. Colleagues in the school improvement office as well as other district administrators will assist as Exline’s current duties are reassigned during her interim period. The board will determine next steps in the process of identifying a permanent superintendent later this summer.